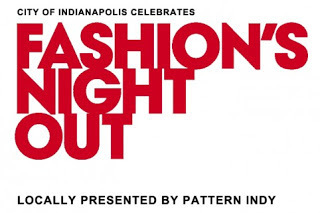 In 2012 Indianapolis' Pattern Indy group coordinated it's own FNO efforts that I was a sponsored social media reporter/blogger for. I am very sure that the group was planning a comeback this year, but according to reports the CFDA would like to take FNO from the US designer and retail focus to a more international focus this year. Where does that leave the consumer or those enthused about FNO and getting out and about to network and enjoy a fashion party that one night of the year? We will just have to follow this story and see. Click here for more from the WWD.com article.